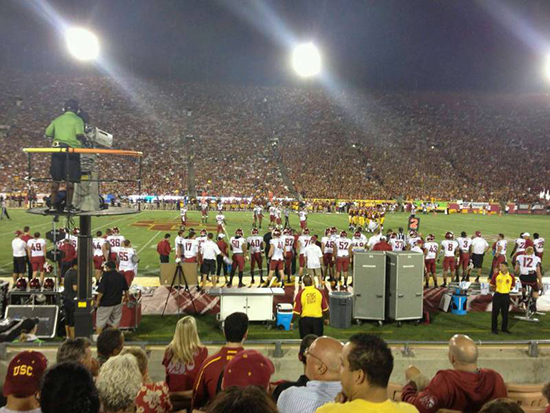 Where are the best places to sit at the Pasadena Rose Bowl? Where to sit at the Pasadena Rose Bowl? 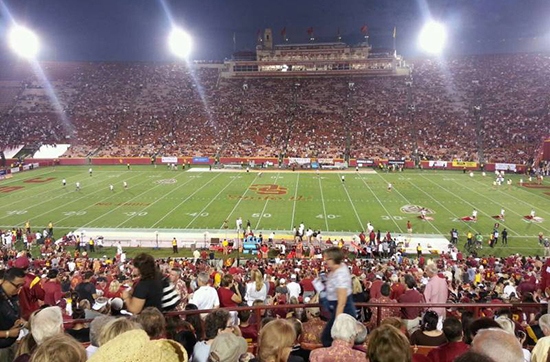 The Rose Bowl in Pasadena California is not just a California Historic Civil Engineering Landmark it is also a National Historic Landmark. 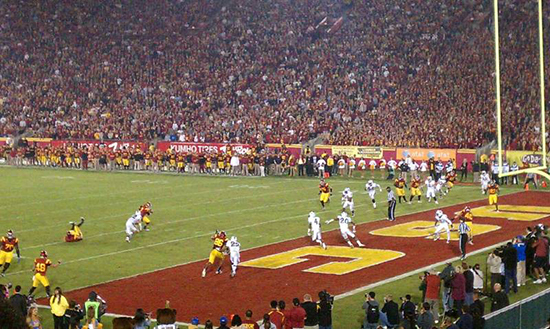 The 106,869, a capacity stadium has hosted the Rose Bowl game since January 1, 1923. 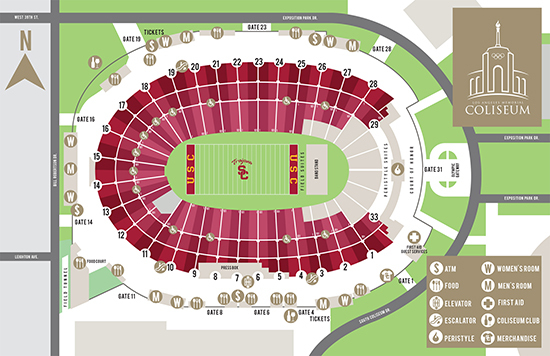 Below you can find the most detailed Pasadena Rose Bowl Seating map guide to help your selection of seats for your event. A look at the 2018 Sports Events Calander. Take a look at the upcoming 2018 Sports Events Calendar. With hundreds of different 2018 Sports events happening throughout the year there is something for everyone who loves sports or wants to mark something off on their bucket list. Barry’s Tickets has broken down the average 2018 Sports Events ticket price on the secondary market from the most expensive $15,540.00 “Most exciting two minutes in sports” down to the $70.00 average ticket of America’s past time. Sacramento Kings @ Los Angeles Lakers – With just nine games to go in Kobe Bryant’s amazing NBA career there is only a few chances left to see him play. New York Rangers @ Los Angeles Kings – East vs West collide in this Stanley Cup rematch. Phoenix Suns @ Los Angeles Lakers – Only eight more games left this season at the Staples Center for Kobe Bryant and the Los Angeles Lakers. Once @ Pantages Theater – Once begins its short run at the Pantages Theater. Boston Bruins @ Los Angeles Kings – Always a fan favorite even in Los Angeles the Boston Bruins make their only Los Angeles appearance of the season. Get $15.00 off $100 or more on all tickets marked BV! Use Barry’s Tickets discount code ENJOY at checkout to save today! All tickets are 100% guaranteed to be authentic and delivered to you on time! LA Coliseum Seat View Seating Chart will show you the view of the field from different sections at the Los Angeles Memorial Coliseum. 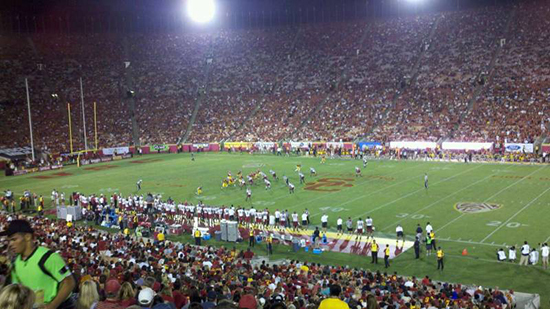 The Los Angeles Memorial Coliseum is an outdoor sports stadium located in the heart of University Park in Los Angeles California. 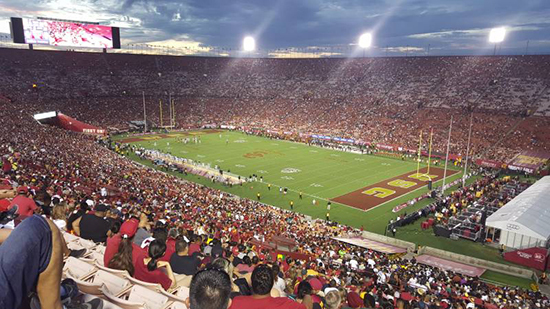 The LA Coliseum is home to the USC Trojans and will be home to the Los Angeles Rams until 2019 while they wait for their new stadium being built in Inglewood California. 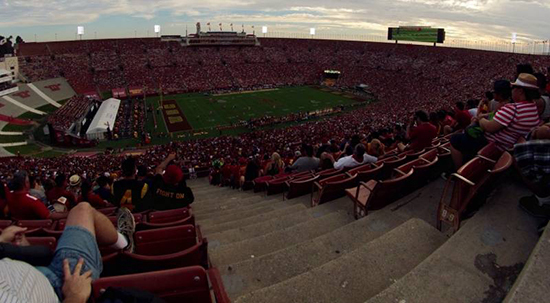 The LA Coliseum seating capacity is 93,607. 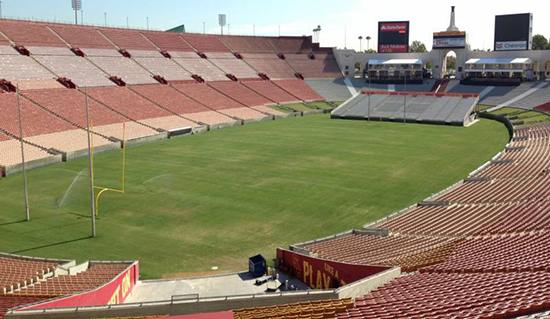 The LA Coliseum surface is natural grass. LA Coliseum Seat View Seating Chart Section 1. LA Coliseum Seat View Seating Chart Section 2. LA Coliseum Seat View Seating Chart Section 3. LA Coliseum Seat View Seating Chart Section 5. LA Coliseum Seat View Seating Chart Section 6. LA Coliseum Seat View Seating Chart Section 7. 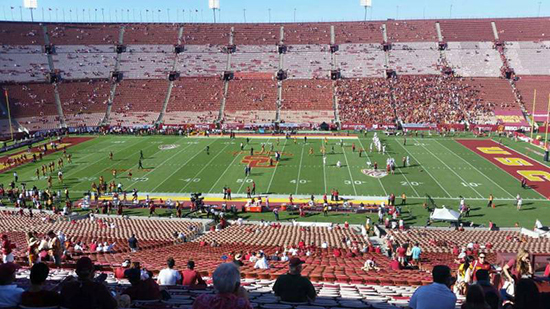 LA Coliseum Seat View Seating Chart Section 10. LA Coliseum Seat View Seating Chart Section 11. LA Coliseum Seat View Seating Chart Section 12. LA Coliseum Seat View Seating Chart Section 13. LA Coliseum Seat View Seating Chart Section 14. LA Coliseum Seat View Seating Chart Section 15. LA Coliseum Seat View Seating Chart Section 17. LA Coliseum Seat View Seating Chart Section 22. LA Coliseum Seat View Seating Chart Section 24. LA Coliseum Seat View Seating Chart Section 25. 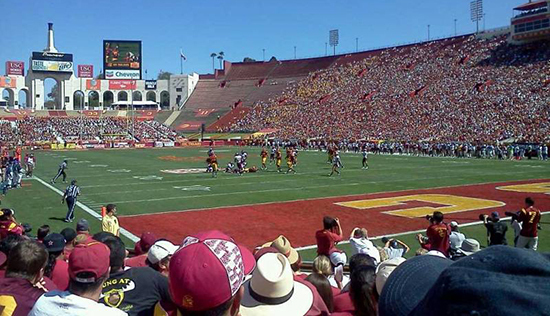 LA Coliseum Seat Chart USC Trojans. 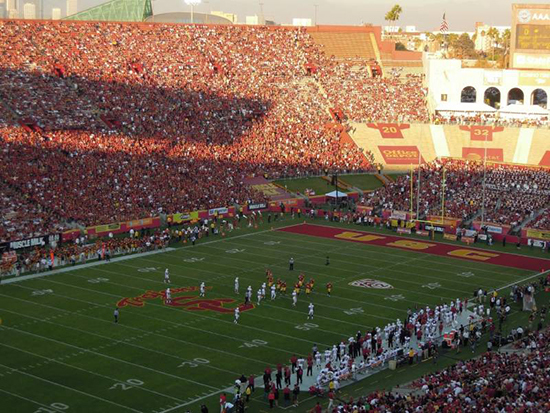 The Los Angeles Memorial Coliseum was built in 1923 and will be undergoing major renovations making significant improvements for the USC Trojans football team as well as the Los Angeles Rams. 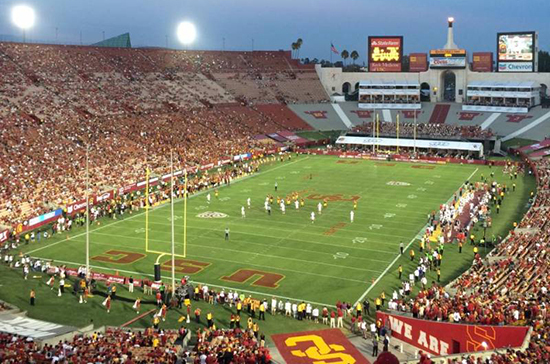 Some of the improvements being made to the LA Coliseum are the removal of all seats in the Coliseum and replacing them with new seating as well as handrails throughout the entire stadium. Isles will be added as well as the new seats will be wider as well as increasing the legroom in many of the LA Coliseum sections. Wi-Fi technology will be added throughout the stadium. 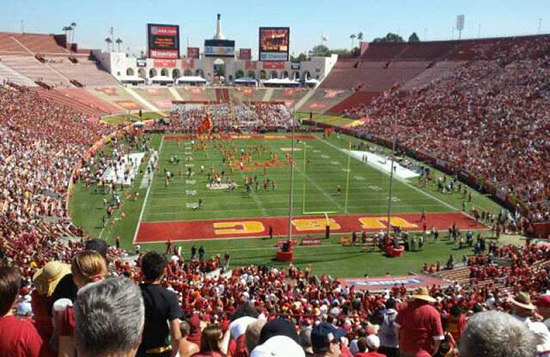 The LA Coliseum will receive two new large screens at the east end of the stadium. New concession stands will be added to the Los Angeles Memorial Coliseum as well as improvements to the existing concession stands. 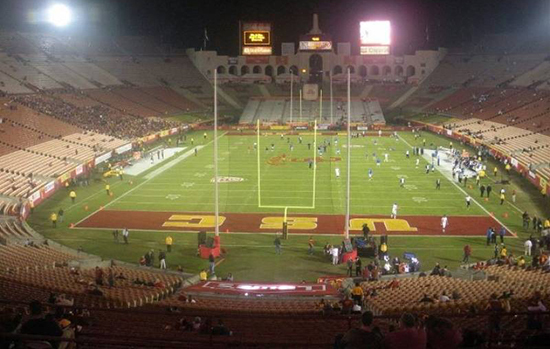 New Premium Seating Options at the LA Coliseum. As the renovations take place and bring the 1923 LA Memorial Coliseum to a more modern stadium there will be numerous new seating options available to fans. These new LA Coliseum seating options will include Luxury Suites, Loge Boxes as well as LA Coliseum club seats all available on the south side of the stadium. You can view all games and events going on by checking our LA Coliseum event schedule for complete listing of all sporting events an concerts. You can also checkout our special Rams Tickets promo code to save on tickets. 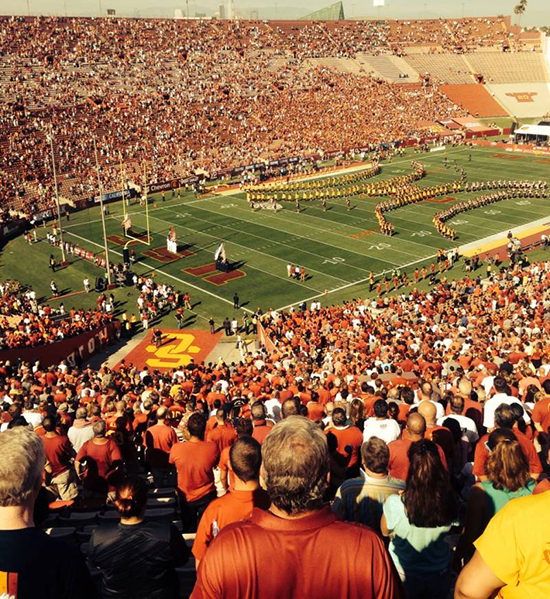 Barry’s Tickets is located just miles from LA Coliseum itself. 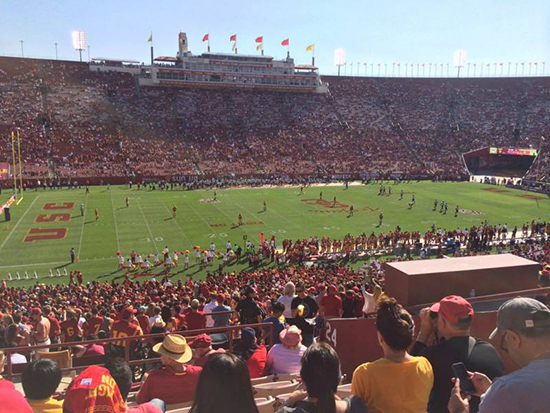 Barry’s Tickets is located minutes from LA Coliseum. 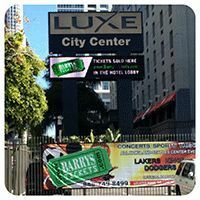 Our downtown office next to the Staples Center makes it fast, easy and convenient for picking up or purchasing Rams tickets and Trojans Tickets even after the event starts Barry’s Tickets Los Angeles office is open from 9am – 9pm seven days a week inside the Luxe Hotel. Barry’s Tickets has been the go to ticket broker for all Los Angeles Concert, Sports and Theater tickets for over 30 years. Barry’s Tickets has your Los Angeles Winter Ticket update for the Hottest Upcoming Concert, Sports and Theater events! Use our special Los Angeles Winter ticket update discount code to save on your favorite event coming to the Los Angeles and Anaheim area! Including Sun, Nov 22 American Music Awards Microsoft Theater, Los Angeles. Fri, Dec 4	KIIS Jingle Ball feat. One Direction, The Weeknd, Selena Gomez and 5 Seconds of Summer Staples Center, Los Angeles. Tue, Dec 8	The Weeknd L.A. Forum, Inglewood. Wed, Dec 9	The Weeknd L.A. Forum, Inglewood. Fri, Dec 18	Muse Staples Center, Los Angeles. Sat, Dec 19	Muse Staples Center, Los Angeles. Tue, Dec 22	Motley Crue Honda Center, Anaheim. Mon, Dec 28	Motley Crue Staples Center, Los Angeles. Wed, Dec 30	Motley Crue Staples Center, Los Angeles. Wed, Dec 30	Dead and Company L.A. Forum, Inglewood. Thu, Dec 31	Dead and Company L.A. Forum, Inglewood. Thu, Dec 31	Motley Crue Staples Center, Los Angeles. Thu, Nov 19	Golden State Warriors at Los Angeles Clippers Staples Center. Fri, Nov 20	Toronto Raptors at Los Angeles Lakers Staples Center. Sun, Nov 22	Houston Rockets at Los Angeles Clippers Staples Center. Sun, Nov 22	Portland Trail Blazers at Los Angeles Lakers (Lakers T-Shirt Giveaway) Staples Center. Tue, Nov 24	Calgary Flames at Anaheim Ducks (J.S. Giguere Coin Giveaway) Honda Center. Wed, Nov 25	Utah Jazz at Los Angeles Clippers Staples Center. Fri, Nov 27	Chicago Blackhawks at Anaheim Ducks Honda Center. Fri, Nov 27	New Orleans Pelicans at Los Angeles Clippers Staples Center. Sat, Nov 28	Chicago Blackhawks at Los Angeles Kings (Dustin Brown Rally Towel Giveaway) Staples Center. Sat, Dec 19 WWE Live Holiday Tour The Forum Ingelwood. 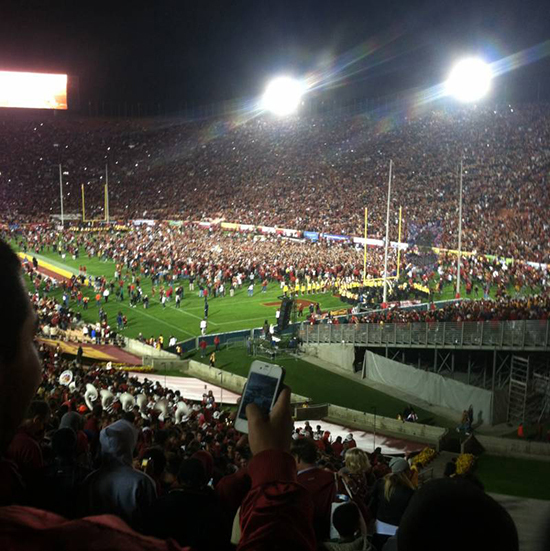 Sat, Jan 01 Rose Bowl Game Rose Bowl Pasadena CA. Nov 18 – Nov 22	Beauty and the Beast Pantages Theater. Dec 1 – Dec 06	Riverdance Pantages Theater. Feb 17 – Mar 6	Wicked Orange County P.A.C. – Segerstrom Hall. Mar 10 Jerry Seinfeld Arlington Theatre Santa Barbara. Mar 22 – Apr 3	The Book Of Mormon Orange County P.A.C. – Segerstrom Hall. May 14 – June 24 Titanic Ahmanson Theater. Barry’s Tickets has been serving Los Angeles, Anaheim and the entire nation with Concert, Sports and Theater tickets. Barry’s Tickets offers only 100% guaranteed authentic tickets that can be E-Downloaded, Federal Expressed or Picked Up Free at any one of our locations. Unlike some other online ticket services Barry’s Tickets has no hidden costs at checkout! If you’re looking for Los Angeles Sports Tickets, Los Angeles Concert Tickets or Los Angeles Theater Tickets we have you covered from Los Angeles and World Wide including the Summer Games and Winter Games, World Cup and more. If your located in Los Angeles and want to feel 100% assured your tickets will be authentic the please consider us as your Los Angeles Ticket Broker! Barry’s Tickets Los Angeles Winter Ticket discount code is good through November 30th 2015 or while supplies last! Barry’s Bucks and other discount offers cannot be used with simultaneously with this offer. Discount/Promotional Codes may not overlap on orders. Discount/Promotional Codes are not valid with any other offer.Discount/Promotional Codes are based on availability of tickets. If you have any questions about any event on Barry’s Tickets Los Angeles Winter Ticket Update please feel free to contact us by email or (866) 708-8499. Learn more about Barry’s Tickets Downtown Los Angeles office. 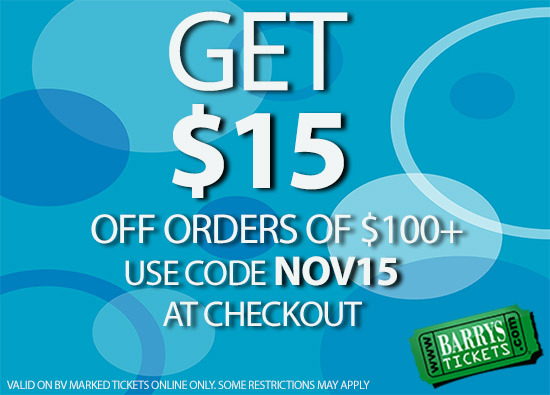 Barrys Tickets November Savings on Concert, Sports and Theater Tickets! Get $15 off $100+ use NOV15 at checkout! Get $25 off $300+ use NOV25 at checkout! 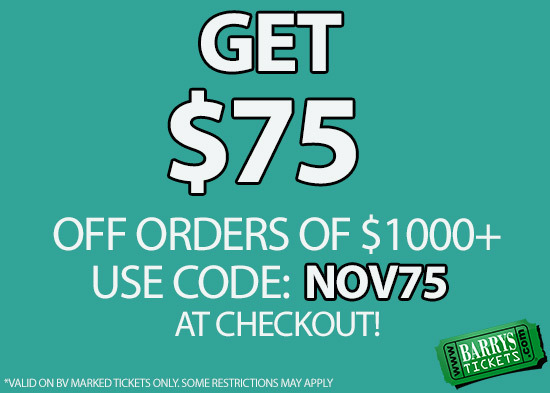 Get $75 off $1000 use NOV75 at checkout! 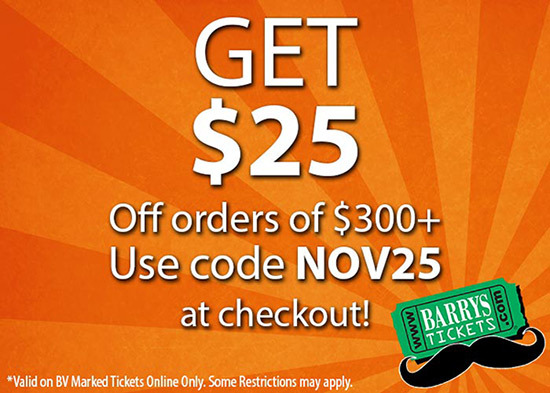 Barry’s Tickets November Savings discount codes are good online only and some restrictions may apply! Discount Codes good only on tickets marked BV! Use our Barrys Tickets November savings to get great deals on Lakers Tickets, Clippers Tickets, LA Kings Tickets and Concerts, Sports and Theater events in Los Angeles and the surrounding cities. Our Official Barrys tickets discount code is good on all tickets marked BV and some restrictions may apply. Use anyone of our Barrys Tickets discount codes online at BarrysTickets.com. Stephen Curry MVP award the top three reasons it is well deserved! During the course of the regular season, two names were always in the running for the MVP award. One of them was Stephen Curry, the other being Houston Rockets dynamic guard James Harden. In the end, the Warriors guard won it, and here the reasons why Stephen Curry’s MVP award is well deserved. The Golden State Warriorss were the best team during the regular season, winning franchise best 67 games. And it is not just the number of games they won, but how they did it. The Warriors were first in defensive rating, allowing just 98.2 points per 100 possessions and second in offensive rating at 109.7. Only the Los Angeles Clippers were the better offensive team during the course of the regular season, but the Warriors scored a net differential of 11.4. The Warriors were the only team with a double digit net differential in the regular season. Stephen Curry is arguably the best player on the team, as he makes everything happen. His 3-pt shooting draws the defense, but he can also drive, and he always finds the open man. His numbers might be down from a season ago, but his efficiency is up, and he was very close to the 40-50-90 club, shooting 44% from the 3-pt line, 48.7% overall and 91.4% from the free throw line. Usually, the MVP winner breaks some kind of a record. And in the case of Stephen Curry MVP season, the record is the one he set two years ago. In the 2012-2013 season, Curry set a record for most 3-pt shots made with 272. This year, he broke the record on April 9, five days before the regular season ended. He finished the season with 286 made 3-pt shots. He attempted 646 3s, the most out of any other player in the league. And Curry was efficient, shooting 44.3% from behind the arc. For a player to be considered an MVP, he must show his value on both ends of the floor. Stephen Curry MVP season marks a big step towards that direction for the lanky point guard. Not primary known for his defense, Curry has made huge strides on that end of the floor in the past season. His defensive win shares are the best factor that shows Curry’s value. He has contributed 4.1 wins for the Warriors this season with his defense. And according to stats, the opponents he guards shoot just 36.8% from the floor. Curry has improved his defense radically, and he is averaging career best 2 steals per game, and career low 2 fouls per game. Before the season started, Curry worked with assistant coaches on his defense, and they praise his high hands. Curry’s hands have helped him deflect shots and go for steals. He is also better at stripping opponents and his anticipation for team and help defense has also improved. I also picked Stephen Curry as the next NBA Superstar back at the beginning of 2013 NBA season. Stephen Curry and the Golden State Warriors have a chance to win the NBA Finals against the Cleveland Cavaliers tonight which would add two notches in the Stephen Curry MVP Belt…a World Champion and NBA Finals MVP! What a year for Stephen Curry! Golden State Warriors Tickets soared to an all time high averaging $1450.00 per ticket on the resale market for the game two of the NBA Finals. The NBA Finals Game one at the Oracle Arena to see Stephen Curry and the Warriors face Lebron James and the Cavaliers averaged $1250.00 per ticket. If the Warriors lose tonight to the Cavaliers the chance of breaking the $1450.00 NBA Finals Ticket average is extremely high. Do You Know Why Dodger Stadium Called Chavez Ravine? Chavez Ravine is located in an area of Los Angeles California called Sulphur Canyon and plays home to one of the most famous baseball parks in the county Dodger Stadium. It is called Chavez Ravine because it is named after Julian Chavez who was a Los Angeles city councilman in the 19th century. In 1844 Julian Chavez purchased a plot of land in the Elysian Park area and over time expanded it to roughly 318 acres. 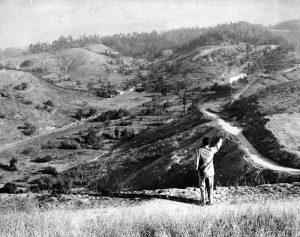 Before becoming Chavez Ravine, the area was called “Cemetery Ravine,” after old Calvary which is a Roman Catholic cemetery located in Los Angeles and is now known as the New Calvary Cemetery.